While Nintendo’s NES Classic consoles sold out within minutes at official U.S. retailers the day the system went on sale last week, sales of the console on eBay that day were occurring once every 18 seconds, according to statistics provided to Polygon by eBay. And while sales have flagged since, as of Tuesday, eBay was still seeing a sale of the console once every minute and 23 seconds, according to eBay. The average sale price of the $60 NES Classic on eBay from the Nov. 11 launch date until Tuesday was about $230, eBay told Polygon. Most major U.S. retailers have been out of stock of the console since launch day last Friday. The one exception appears to be Walmart, which held back stock to release at a specific time each day this week. Customers have been flooding the site, knocking the checkout portion of Walmart offline temporarily every day as they struggle to purchase the console. Yesterday, Walmart’s daily stock of the console sold out in less than a minute. The quick sell-out left many Nintendo fans irritated and calling into question Nintendo’s handling of the sale of the device. Nintendo has said that it will have more of the console in stock “through the holiday shopping season and into the new year,” though it hasn’t offered any more specific details. While U.S. fans of the console continue to hunt for an opportunity to buy the sold out NES Classic, stock is not as barren in some other countries. One store in Mayalsia, for instance, took to Facebook to post a picture of the more than 100 it received. 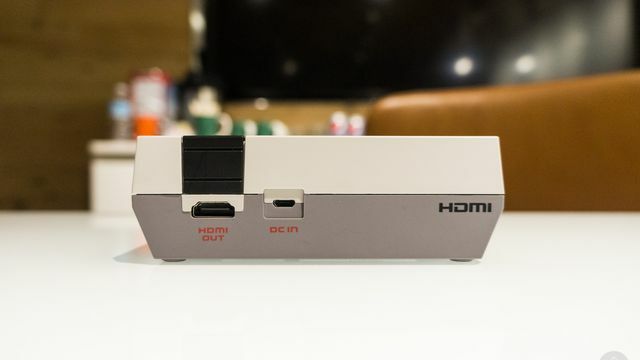 The NES Classic is a diminutive plug-and-play recreation of the original Nintendo Entertainment System. It comes pre-loaded with 30 games and includes a single controller. Extra controllers for the system are also sold out.